You may have seen our recent review of the mind-blowing Morgan Plus 8 50th Anniversary Edition but we were lucky enough to test three other Morgans: The V6 Roadster, the 4/4 and the 3 Wheeler. You can view our video review below, and read on to see what I thought of each car. Starting with the 4/4, it may have less than half the power of the Roadster but this isn’t a car that’s focused on out-and-out performance. It certainly has a creditable 0-62mph sprint time of 8 seconds, but the feeling when inside the car is that you’re driving an icon (this is a car that’s been in production for more than 80 years, remember!) It’s light, economical (combined mpg is an impressive 44) and you don’t need to go crazy on the options list to customise the vehicle to your liking. Steering is unassisted and there’s no ABS; you really are in control of this car in a way that’s very welcome indeed, something that’s so often lacking in modern sports cars. The manual gearbox will be familiar to any owners of the Mazda MX-5 and, as a previous owner myself, I can tell you that’s very good news indeed – you’d be hard-pressed to find a better unit. The 3.7 litre V6 Roadster ups the ante significantly. If you love the style and cabin of the 4/4 but want more power, then the Roadster is for you, with 300hp per tonne and a 0-62 time of just 5.5 seconds. Sure, there is a slight increase in weight and mpg drops to just shy of 29, but these aren’t considerations that should trouble you if you’re looking for what is simply one of the most fun modern sports cars on the market. Few cars offer such performance coupled with the Morgan’s unique, classic styling. The Morgan 3 Wheeler. Yes, when you think of a British 3 Wheeler your mind goes back to Reliants and Bonds of the last Century that were, frankly, pretty poor. 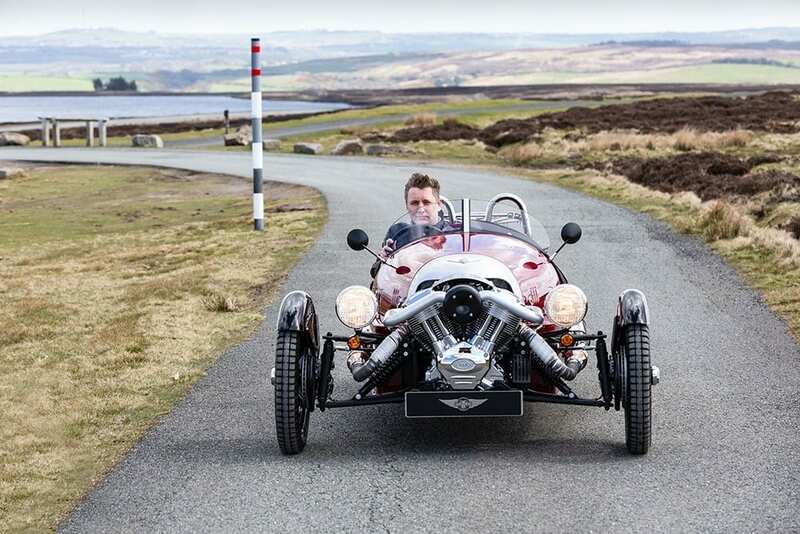 Thankfully, the Morgan is very much a 21st Century toy. It has bags of torque and, with a dry weight of just 585kg, feels like a rocket. It rather looks like one too, or perhaps a WW2 fighter cockpit – with dials, exposed engine and exhaust, quilted leather interior and a seating position that truly feels as though you’re ‘flying’ across the surface of the road. It’s enormous fun, too. The back end is loose enough to permit a slide with a deft nudge of the throttle and turn of the wheel. It’s not mandatory but, when appropriate, it feels as though it should be! However it’s being driven, I’m yet to see a Morgan 3 Wheeler driven by anyone without an enormous grin on their face. For that matter, whenever I’ve driven one I’ve always been struck by how many smiles and thumbs-up it attracts from other drivers and pedestrians; everyone loves it. So, the 3 Wheeler stole my heart. On a sunny day with clear roads, it would be my first choice. However, in weather more typical of these shores or for longer drives, I’d go for a little more comfort and take the V6 Roadster. If you’d like a Morgan of your own, our partners at Beamish Morgan would love to show you the range and see which car suits you best. 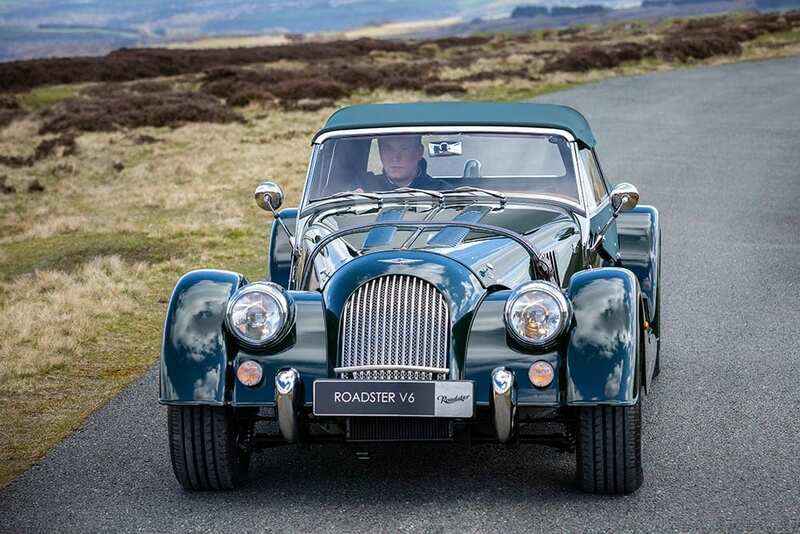 We can arrange finance for your Morgan with a tailored solution to suit your needs. Call us today on 020 3355 0035 to speak with one of our experts, or try our finance calculator for an indicative quote.